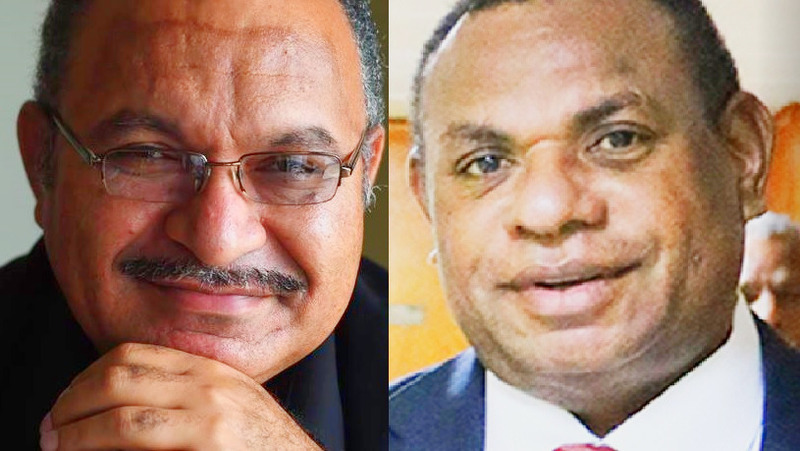 Prime Minister Peter O’Neill and Treasurer Patrick Pruaitch have been caught out in a massive Constitutional breach over state borrowings and repayment of the national debt in 2015 and 2016. Their failure to comply with Section 209 of the Constitution means all domestic debt – Treasury Bills and Inscribed Stock - issued in both years, and repayment of that debt, is technically illegal. The unlawful amount involved will be about K10 billion by the end of this year. The Constitutional breach and the failure to acknowledge and correct it highlights the incompetence and lack of integrity of the Prime Minister and Treasurer. It highlights the complete disregard by the Prime Minister and his Regime for the laws of Papua New Guinea, including the Mama Law. The Constitutional breach was identified by blogger Kessy Sawang, a financial analyst and former Deputy Commissioner of Papua New Guinea Customs Service, and Head of Secretariat of the Tax Review Secretariat at Department of Treasury. “This is an extraordinary mistake to have made and I am puzzled and shocked as to why it has not been corrected,” she says. “I wonder if the Prime Minister and his Minister for Treasury are aware of this but have chosen to deliberately ignore this constitutional breach. “I wonder if the Departments of Treasury, Finance and National Planning & Monitoring were aware of this but failed to bring it to the attention of Government. The simple answer is that the Prime Minister is directly responsible for all legislation before the House, and under him the Treasurer. Constitutional breaches of this magnitude, especially when they have deliberately not been corrected, require Pruaitch at least to resign. Treasury is aware of the breaches, but has not been able to say why they were not corrected in the 2016 Supplementary Budget or the 2017 Budget. They must immediately be corrected by a retrospective Appropriation Bill, and the Prime Minister and Treasurer must apologise for the breach of the Constitution and their deception. The Treasurer’s deception extends to misleading Parliament in his 2017 Budget speech when he stated that there was a K1.1 billion reduction in expenditure in 2017. Ms Sawang points out that there was actually an INCREASE of K7.3 billion over the 2016 Appropriation of K13.8 billion. Section 209 of the Constitution requires Appropriation Bills for the three arms of government – the Executive Government, the National Parliament and the Judiciary. Specifically, Section 209 requires all spending of public funds to be authorised by Parliament. Ms Sawang says Volume 2a of the 2016 Budget shows that the total payments to be made by Government (i.e. Executive Government, National Parliament and Judiciary) are K23.8 billion but the sum of the Appropriation Acts (after the 2016 Supplementary Budget) is only K13.3 billion. “The Appropriations’ shortfall is K10.5 billion and most of the difference can be attributed to loan repayments of K9.9 billion,” she says.